Since 2006, microchipping has been a requirement for all Irish Kennel Club registered dogs but will now also be a legal requirement. This facility is available to owners of all dogs, pedigree and non-pedigree, on Ireland’s largest dog reunification database, IKC-PetData. Microchipping is a simple procedure that allows for easy recovery of lost or stolen dogs. The Irish Kennel Club believes that the microchipping makes a clear link between a dog and its owner. Having a microchip means they can be reunited quickly with their owners, reducing the stress for dog and owner alike. By law, from June 2015 all dogs must be microchipped and contact details MUST be kept up to date. Having your puppies implanted with a microchip and registered on the Irish Kennel Club IKC-PetData database means that they will be registered on Ireland’s largest lost and found database for microchipped dogs. This information can be accessed at any time by authorised persons such as dog wardens, veterinarians or animal welfare centre professionals, who can scan the chip found in a lost dog and trace their owners. When a dog is found and the owner is not easily identified, a person can bring the animal to a veterinary practice, warden or animal welfare centre. There, it can be scanned easily and, if an owner’s contact details are up-to-date, returned to its owner. 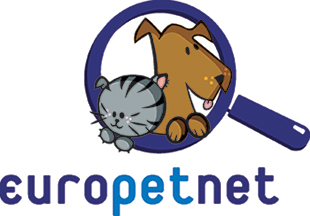 The Irish Kennel Club is a member of EUROPETNET. This is a group of national and local associations based across Europe who register microchipped information about dogs on a centralised European database. There are a number of microchips and databases available through vets and implanters, but not all are associated with the Irish Kennel Club’s reunification service – IKC-PetData. Search here to find your local implanter so your microchip details can be saved on the IKC-PetData database, managed by the Irish Kennel Club, for the life of your pet.